New funding from the UK is expected to save the lives of thousands of newborns and mothers by providing them with access to quality health services. This piece originally appeared on the website of the UN Commission on Life-Saving Commodities. The UK Department for International Development (DfID) announced in November that it will be investing £75 million (approximately USD $118 million) in the Reproductive Maternal Newborn and Child Health (RMNCH) Trust Fund, to overcome the barriers that stop women and children from accessing critical health products and quality services. DfID expects that the funding will help save the lives of 34,000 newborns and 6,000 mothers. 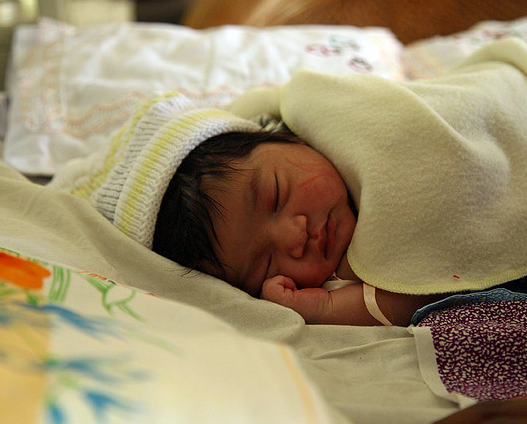 The RMNCH Trust Fund, established in 2013 by UNICEF, the UN Population Fund (UNFPA) and the World Health Organization (WHO) is designed to finance high impact, priority interventions that countries have already included in their reproductive, maternal, neonatal and child health plans, and accelerate the reduction of maternal and child deaths. The RMNCH Trust Fund comprises funding from the Government of Norway and DfID. In 2013, the RMNCH Trust Fund supported eight countries – Tanzania, Ethiopia, Senegal, DRC, Malawi, Sierra Leona, Nigeria and Uganda – in implementing plans which were focusing specifically on increasing access to and use of 13 simple, life-saving but underused commodities for women’s and children’s health. In 2014, the work at country level broadened: countries have been developing a prioritized gap analysis based on their existing national plans – including, but not limited to life-saving commodities – through a RMNCH Country Engagement process. Led by the Ministry of Health, the RMNCH Country Engagement process seeks to better align existing and new funding streams against national priorities and gaps, in order to increase coverage with critical interventions to reduce maternal and child deaths. The RMNCH Trust Fund is but one of the funding sources that can be leveraged to match a country funding gap for RMNCH interventions that emanates from the RMNCH Country Engagement process. It intends to provide catalytic funding to countries to fill priority gaps, alongside larger financing sources. DfID’s contribution to the RMNCH Trust Fund will enable more countries to get support for their RMNCH-related plans, and accelerate the reduction of maternal and child deaths.